This topic never seems to go away, nor will it as long as there are non-shareholder members of the Osage Tribe who covet Osage land, minerals, and other Tribal resources. 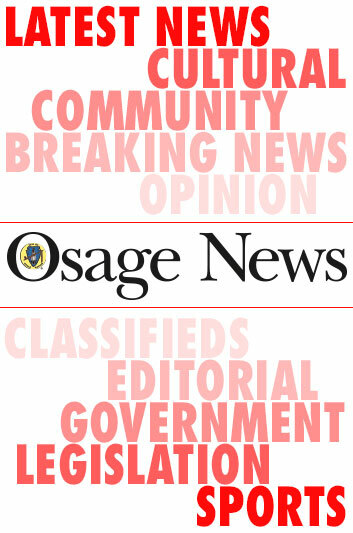 As Ms. Woods states in her column in the June 2018 Osage News, “Tribal members more familiar with the OMC are aware of the many varied and important functions performed by the OMC”. If I may sum up her comments, one of the OMC’s most important functions is to protect the Minerals Estate for the Osage Shareholders. She eloquently points out that there may be a section in the 2006 Constitution that by allowing non-shareholders to have a tribal-constitutional right to vote on matters of the mineral estate may open a door to undermine the shareholder's ownership of the Osage Mineral Estate. This cannot happen. Therefore, I am asking the newly elected members of the Osage Minerals Council to take quick action to correct this error in the 2006 Constitution or to bring a court challenge to the 2006 Constitution for being in conflict with the Osage Allotment Act of 1906. With that said, I also want to thank Ms. Wood for her excellent understanding of the subject, her exceptional writing and the manner in which she states the facts.